During the Civil War, in 1863 AD, President Lincoln announced the end of slavery. When the North won the war, in 1865, Congress and the states voted to change the Constitution to make slavery illegal. So all the people who were enslaved in the South became free. We call this time Reconstruction because the government was rebuilding the South after the Civil War wrecked it. Some people chose to leave the plantations, now that they were free. Some of them moved to the North to work on the railroads, or as house-cleaners or nannies or cooks, or to start their own businesses. Activists like Sojourner Truth tried to get the government to help black people find work. Some people went out West to be settlers or cowboys. But Western states made laws preventing African-Americans from moving there. A few people went back to Africa. What was going on in Africa? But just like when the Austrian and Russian rulers freed their people in the 1850s and 1860s, most people just stayed about where they were before. 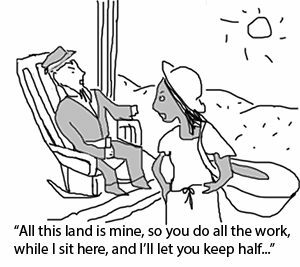 They still didn’t own any land to farm. And if they tried to get land, white people attacked them. A lot of people kept on planting and picking cotton. Now they were sharecroppers instead of slaves. For a lot of people, it didn’t make much difference, only there were not so many beatings. And you didn’t have your kids or your husband taken away from you anymore. But white people still terrified black people by killing them for nothing, or for almost nothing. And no white judge or jury in the south would send any white man to jail for killing a black man. White people often killed black people without a trial, by lynching. White workers’ unions usually didn’t let black people join, and white owners often used black workers as strike-breakers or paid them lower wages. So black people started their own unions, or joined new unions like the STFU, the Southern Tenant Farmers Union, that had both white and black members. These helped black people to get better pay and better working arrangements. About fifty years later, though, in 1910, the cotton was ruined by a kind of insect called a boll weevil. 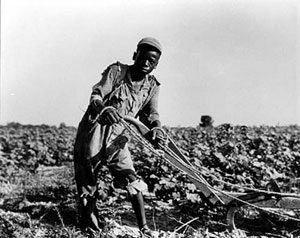 A lot of sharecroppers were starving from not having enough cotton to sell for food. 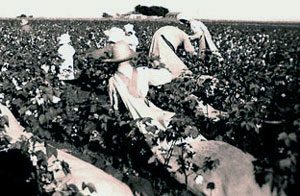 Besides, it was getting cheaper to raise cotton using machines instead of people. So a lot more people decided to leave the South and go north to work. 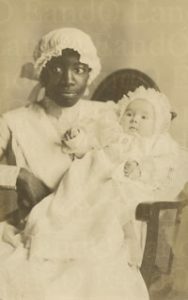 Because white people wouldn’t hire them for any good jobs, they still worked mostly as servants – as nannies, or cooks, or taking care of sick people – or in hard, dirty jobs like cleaning streets or building railroads. Did you find out what you wanted to know about Reconstruction? Let us know in the comments. Cite this page: Carr, K.E. African-Americans after slavery – Reconstruction. Quatr.us Study Guides, August 14, 2017. Web. April 25, 2019. I have light skin, with ancestral heritage from Russia and Slovakia. I have many darker-skinned American friends, who have ancestral heritage from south-west Africa, who were brought here as slaves. You do not explain the reasons that Americans with lighter skin treated Americans with darker skin poorly and differently from Americans with lighter skin, after American slaves were freed. I know how to stop the predjudiced behavior; but I cannot understand what caused it. Please help me exlain how this happened. Why did Americans with lighter skin call Americans with darker skin names […] ? What does, “your comment is awaiting moderation” mean?! It means that until I see and approve your comment, nothing is visible to other people – that keeps kids from posting strings of bad words for fun. I edited your comment to take out anything that seemed hurtful to other people, because I’m sure that’s not what you intended. There are a lot of answers to your question, and of course different people have different reasons for doing things. But the main reason is that white people benefit from having a lot of other people who they can order around – they get cheaper help with their house-cleaning, cheaper nannies and janitors, cheaper factory workers, and so on. In effect, having black people be poorer makes white people richer. It’s easy to say that we don’t think it’s right for black people to be oppressed and poor, but it’s much harder for white people to agree to be less privileged and less rich – to give up the advantages we get from oppression. That is a well-known hoax. I’m trying to cite this, but I can’t seem to find where the publisher/sponsor name is. The publisher is Quatr.us Study Guides; there’s a cite box underneath the main article on each page all pre-formatted for you. Sorry you feel that way! Is there something in particular you think I should change?